Although he was not trained as a professional printmaker, Gillot found a robust market for his whimsical small-scale designs for book illustrations, which he often etched himself with remarkable fluidity. 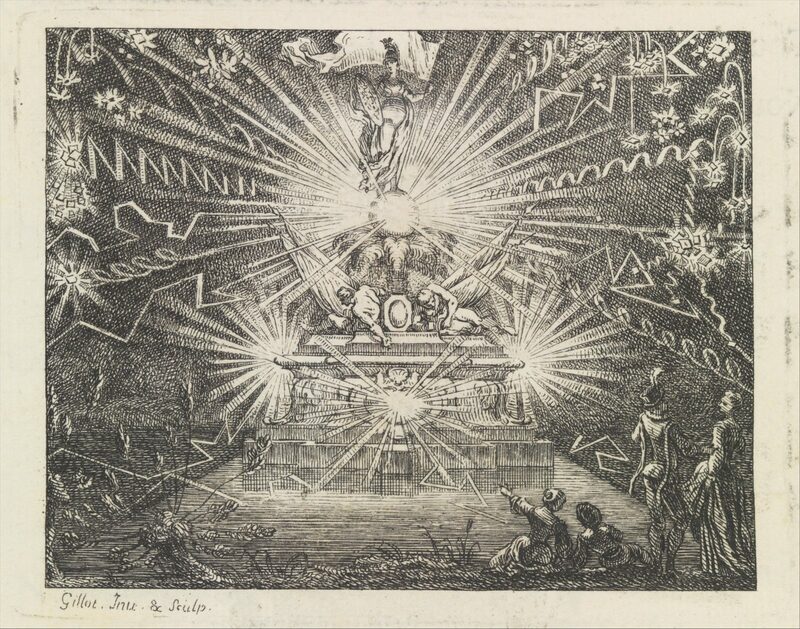 Here, he illustrates the opening lines of a fable by Antoine Houdar de La Motte in which fireworks set off from a large structure illuminate the night sky. 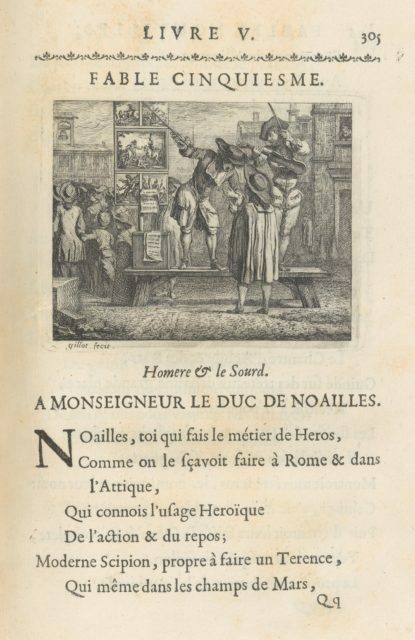 The etching was included in La Motte's Fables nouvelles, dediées au roy, published by Gregoire Dupuis in 1719.